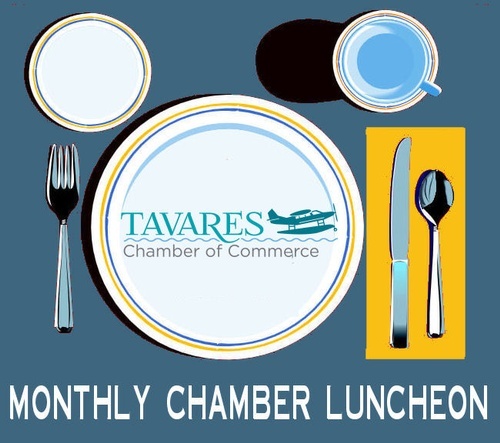 Please join us for our monthly Chamber Business Luncheon on Wednesday October 24th, from 11:30 a.m to 1:00 p.m., at the Tavares Civic Center, 100 East Caroline Street, Tavares FL 32778. This event is Sponsored by Elevate Lake Economic Department. Guest Speaker will be Brandon Matulka, Executive Director of Lake County's Agency for Economic Prosperity. There will be food, raffles, prizes and door prizes. Call (352) 343-2531 and RSVP today, or select the "Register Now" link above. Tavares Civic Center, 100 East Caroline Street, Tavares FL 32778.